Every day I receive requests for WordPress website design. I can never seem to find enough good WordPress designers. 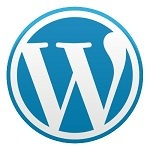 At the same time, there are many WordPress web designers out there looking for work. While I can have a functional site up very fast, I am not a designer and I refer most of this work out. I also have clients who have needs from time to time. While I own a web server and can whip up a WordPress site in a few minutes, making them pop and look great is not my area of expertise. If you would like to build more WordPress website please feel free to contact me today. 99% of the time, I have no desire to “get in the middle” of the transaction. I just need to know that potential customers are indeed getting a quality service and someone who has their best interests in mind. Mom & Pop (I get a lot of requests for small businesses and I feel that they need some good options. I love them yet I can not help most of them). Everyone has their own opinion but to me a great WordPress website has no functionality broken, uses a child theme so the parent can be updated as needed, and is simple to use using shortcodes. It needs a large, clickable phone # right on top and should work flawlessly on mobile. DO NOT contact me if you build convoluted, clunky, slow loading websites. I am also seeking individuals and freelancers who concentrate on web design rather than a la carte agencies. While many of these agencies are great at designing websites, they then try to push clunky SEO and content services on people. I am a huge fan of sticking with what you are great at. I am especially interested in designers who work with U-Design, The7, Divi, and other stable, premium themes which are actively supported and/or are in use on over 20,000 websites and are fully compatible with plugins such as WordPress MultiLingual. Aside from referring work out, I have personal needs for these themes in particular. If you have a random theme that you love, that is OK just let me know. And if you’re still using a framework, go back to 2005. Sorry, not sorry. There are no right or wrong answers here. I don’t care if the sites take you 90 seconds or 90 days. I have people who are willing to wait and others who need their site up in the next 3 hours. Pricing doesn’t matter either – I have people asking me for $500 sites and $65,000 sites. I get all types of inquiries. If you email me and say “I do it all”, I am deleting your email; please just let me know what you are great at. I already have designers that I send work to, but some are overloaded or work only with specific themes, or they simply take an unacceptable amount of time to build a site because it is a hobby rather than a career. And, I am always looking to expand our network here. Just emailed you, Len, thank you in advance for taking a look. I need to expand my portfolio and I appreciate the opportunity. Got it, perfect, thank you, I will be in touch.